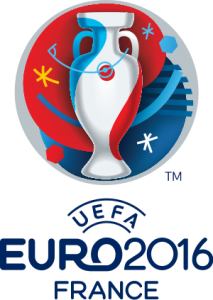 The 2016 UEFA European Championship is scheduled to be held in France from June 10 to July 10, 2016. Twenty-four national teams have qualified for the tournament. After the group stage, sixteen teams advanced to the elimination round: France, Switzerland, Wales, England, Slovakia, Germany, Poland, Northern Ireland, Croatia, Spain, Italy, Ireland, Belgium, Hungary, Iceland, and Portugal. Eight teams made it to the quarter finals: Poland, Portugal, Wales, Belgium, Germany, Italy, France, and Iceland. The four teams that advanced to the semi-finals were Portugal, Wales, Germany & France, with France and Portugal prevailing. The championship game will be held on Sunday, July 10. Check out our MurphGuide Directory of Soccer Bars in NYC for suggested viewing locations.